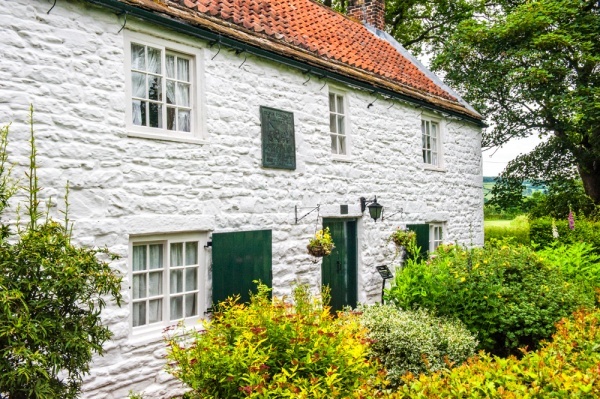 Railroad pioneer George Stephenson was born in this simple whitewashed miner's cottage in 1781. 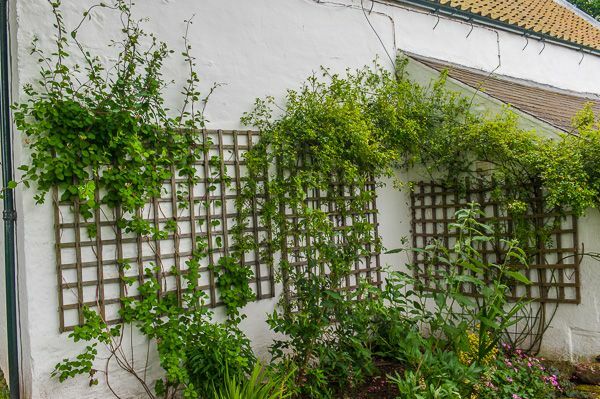 The cottage has been refurbished to appear as it would have in that year, with the entire family living in one room. 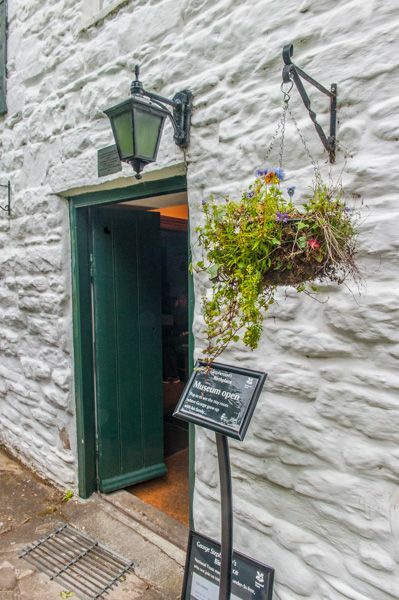 The cottage was built around 1760 as housing for miners and their families working at nearby coal mines. 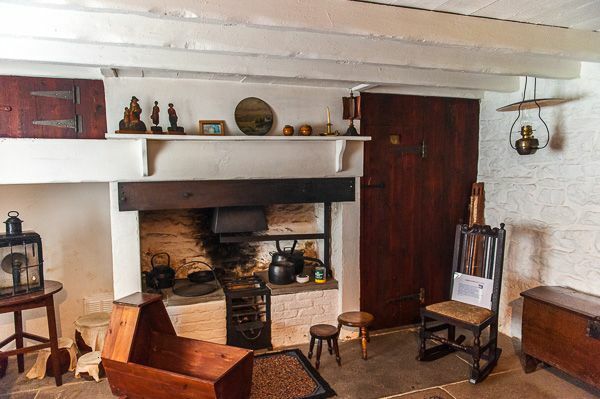 Both the ground floor and the first floor were divided in two, so four families lived in this one single dwelling, each occupying a space that most modern families would find impossibly small. A path leads from the cottage along the Wylam Colliery wagon trail, through an attractive riverside setting. 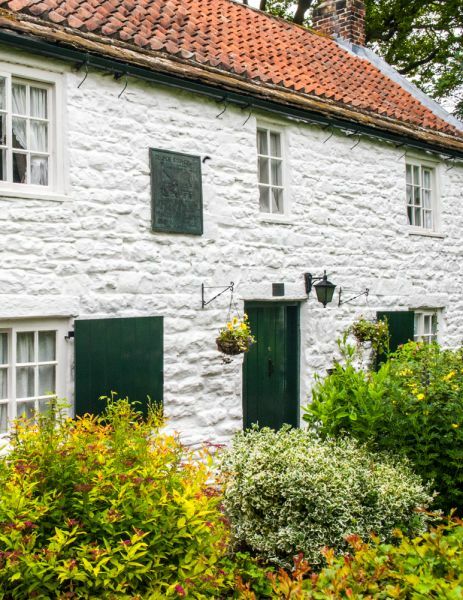 George Stepheson's Birthplace is the smallest National Trust property in Northumberland. Do not rely on your satnav! 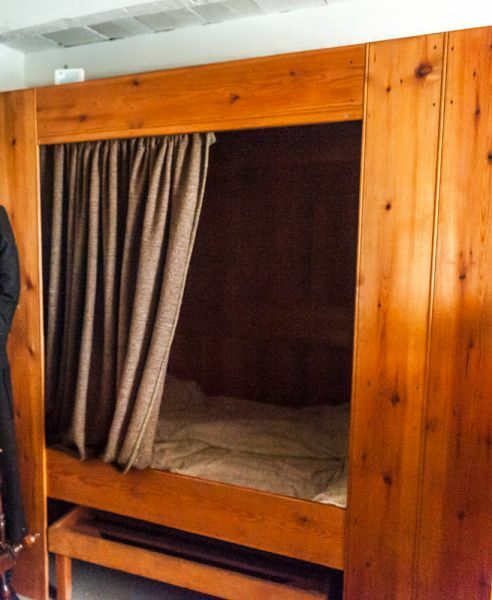 I found out this lesson the hard way, because the Stephenson cottage is located in a secluded location, reached only by a mile long trail from Wylam. The best solution is to park in the main village car park off Main Road, just north of the bridge. From there a signposted trail leads along the north bank of the River Tyne, through attractive countryside. The cottage appears on your left, standing alone in a shaded spot. The footpath follows the course of the old Wylam wagon way, which carried ore from the nearby collieries into Wylam itself. As a young boy, Stephenson would have watched the wagons go by, just a few yards from his front door. 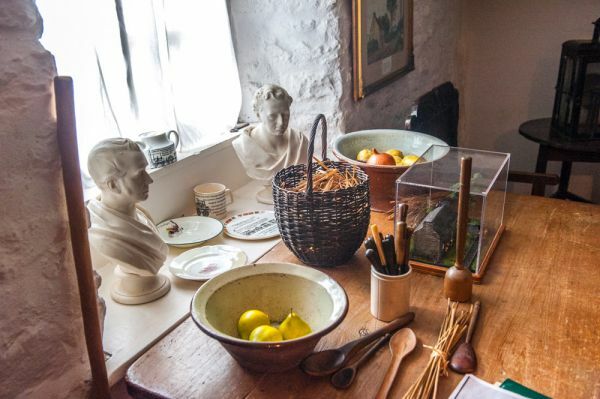 It was an experience that fired his imagination, for from a poor background this scarcely educated young man rose to become one of the great inventors and entrepreneurs of the Victorian Age. His greatest invention, the one for which he is best remembered, was his steam locomotive, Rocket, which paved the way for the railroad boom in 19th century England. 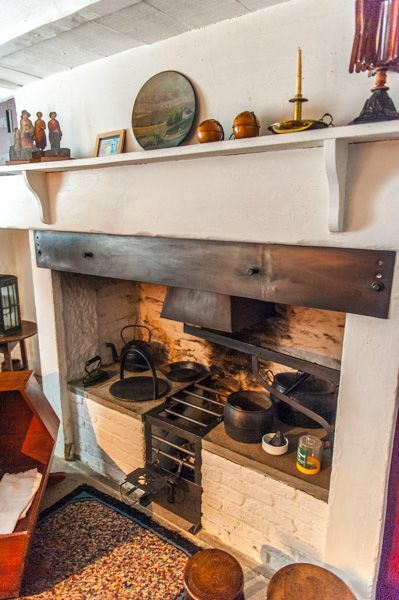 The birthplace cottage is small, and furnished very simply. There is a costumed guide, who tells in a very entertaining way the story of Stephenson's life here at Wylam and his later career and family life. 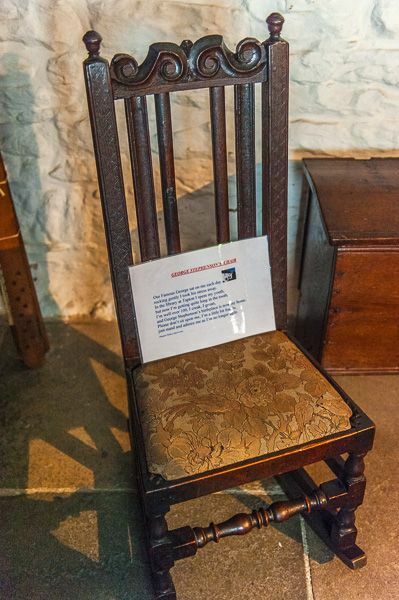 Though very little remains from the days when the entire Stephenson family crammed into this one room, there is one item that George would have reconised; his rocking chair, brought here from a home he occupied later in life. 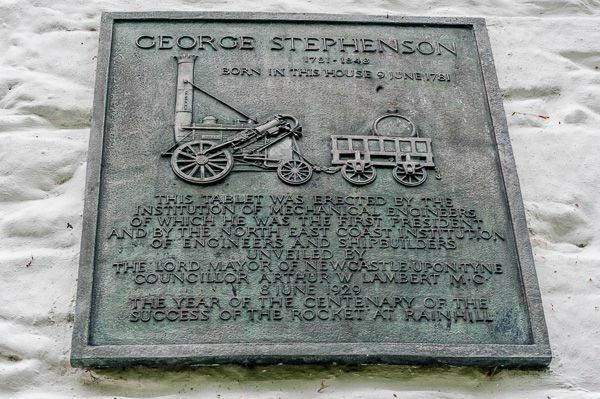 If you'd like to follow the life and times of George Stephenson, the National Trust has created a Stephenson Trail, linking sites around the Tyneside area, including his later house at Dial Cottage in Westmoor, and the bronze statue to Stephenson in the centre of Newcastle. There is a small tea shop attached to the cottage, which, judging by the people I saw relaxing on shaded chairs, seems to be a popular place for walkers to gather on a summer day! Location: Parking near the war memorial in Wylam village, followed by a 1/2 mile walk along the river. Seasonal opening.